Oregon is beautiful in the summer - so much green! You forget about the green when you live in a desert like I do, and then BOOM - you drive around a corner in the Gorge and it's green everywhere. We also went to the Portland Rose Garden, which is famous for its hybrid flowers and experimental roses. The garden was started during World War I, when roses were brought to Portland so they wouldn't be destroyed in the bombings of Europe. 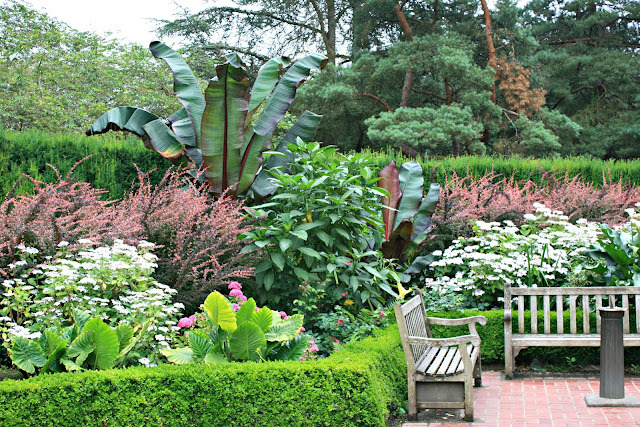 Now, it's a beautiful, internationally famous rose garden with that same peaceful feeling. So I guess, on hot summer Sundays like this one, thinking of our cool, green Oregon Sunday last week is my peaceful thought. What's your peaceful thought today? 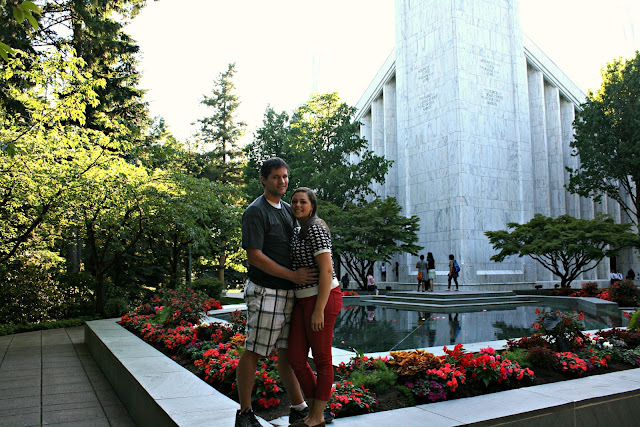 Portland temple is my favorite. I wanted to get married there so badly. GORGEOUS pictures! I want to visit the Portland Temple someday!! 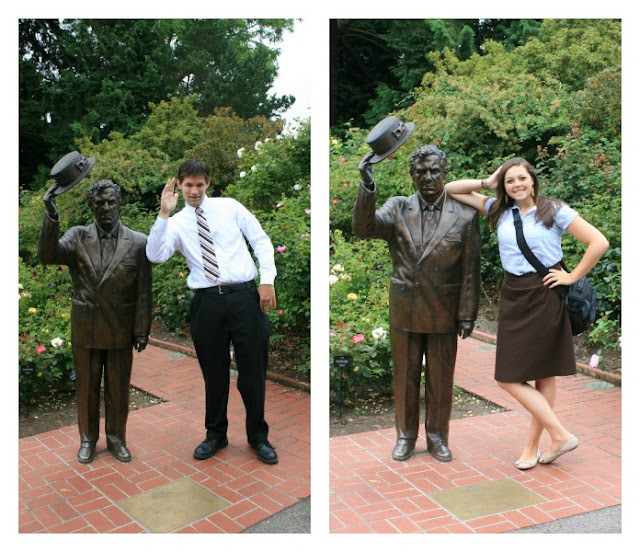 I LOVE the Portland temple! I was so sad I didn't get to go while I was there this summer! :[ These pictures are gorgeous! And I might just have to share your green, beautiful Oregon as my peaceful place for the day now! Haha. ahh, that garden is gorgeous!! There is literally absolutely no prettier place than Oregon in the summer! Lovely pictures! (Totally diggin the red jeans!) Oregon is so pretty, it's ridiculous! I love all of these photos! 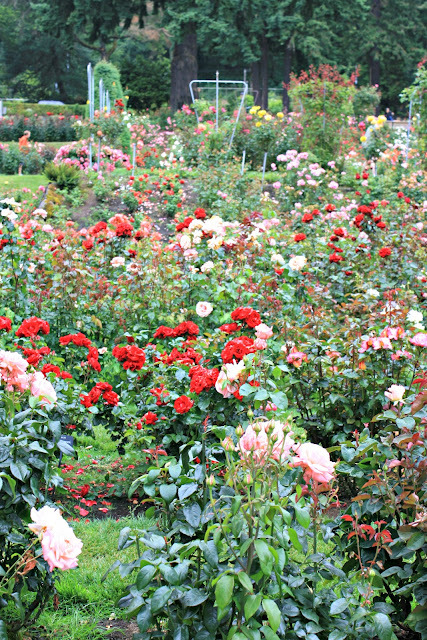 Tee Rose Garden is so pretty! Oh I love and miss Oregon. When can we get together and hear all about your trip?